He was 81 years old when he began to see me. His eGFR before his Chinese medicine treatment was very low at 16 (Late Stage 4). He quitted his treatment of Chinese medicine and restarted again, which demonstrated the effect of Traditional Chinese Medicine (TCM) in treating kidney disease. 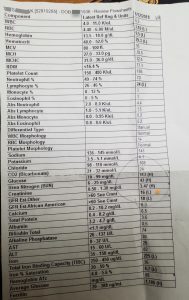 Patient S is an senior Asian male, 81 years old when he began to see me in January of 2018. He found out he had Chronic Kidney Disease about five years ago and his condition had slowly deteriorated. His nephrologist told him to expect dialysis soon. His son researched on the Internet and found me. 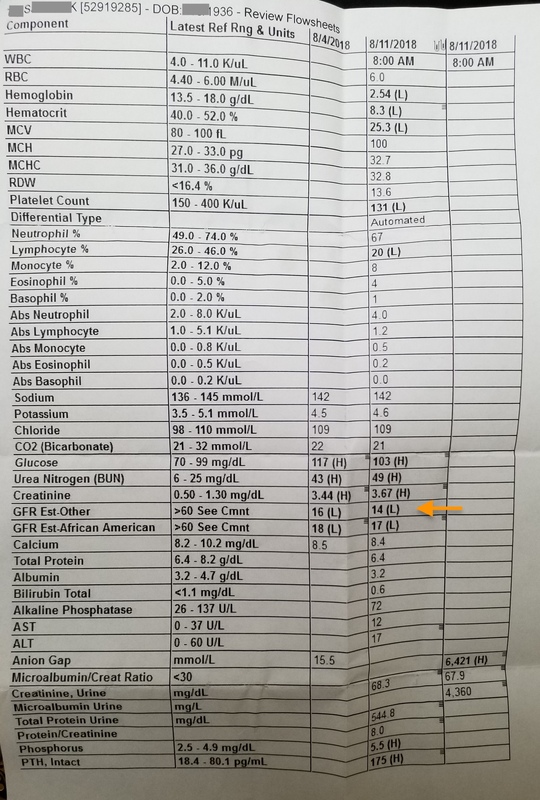 Upon examining Patient S’s medical record, I learned that he has high blood pressure since his 20s. Although he was born and raised in Asia, he came to the United States for college and quickly adopted unhealthy American diet. He developed high blood pressure in college and became diabetic since his 50s. Although he has been controlling these two conditions with medications, his kidney function continued to decline. 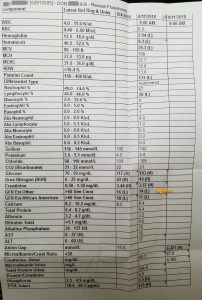 By the time he came to see me, his estimated Glomerular Filtration Rate (eGFR) is only 16 ml/min. It means he was only 1 ml/min from Stage 5 Chronic Kidney Disease and would need dialysis soon if the decline was not stopped or reversed. Because his Chronic Kidney Disease is the result of his high blood pressure and his diabetes, in order to prevent further kidney damage, these two conditions must be controlled. I instructed him to adopt a kidney-friendly diet, which also helps to control his blood sugar and blood pressure. Many patients have difficulties adopting healthy diet and hope to solve their complex health conditions simply with pills. Fortunately Patient S is able to be disciplined with his diet. After a few weeks of lifestyle changes and receiving treatments consist of Chinese medicinal herbs, Patient S began to see improvements in his kidney function and symptoms. He gradually felt less fatigued, less lower back pain, and reduced swelling in the lower legs. 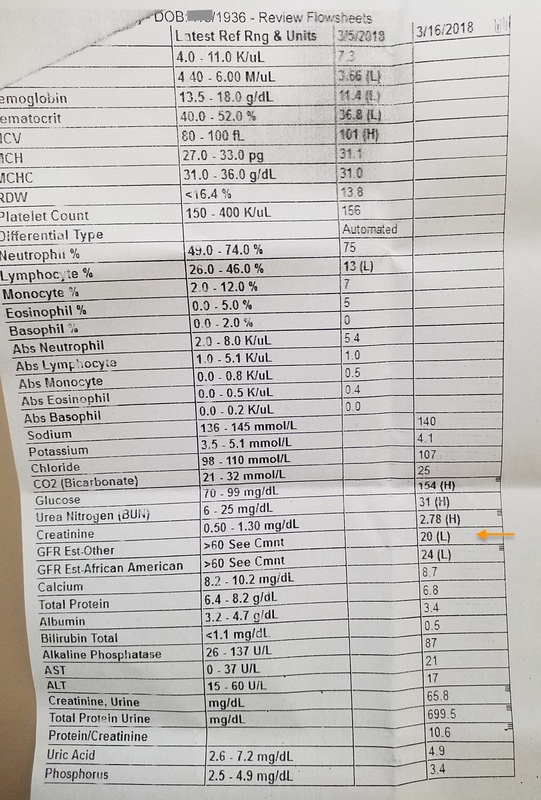 By March 16th, 2018, about two months after seeing me, his eGFR has improved significantly to 20 ml/min. However, in April the patient caught a minor cold which caused his blood pressure to be elevated for a couple weeks. The patient became discouraged and discussed with his nephrologist about receiving TCM treatments. His nephrologist, who has no knowledge of Chinese medicine, yet is certain that Patient S did not benefited from TCM treatments. Somehow the nephrologist convinced the patient that all the improvement in his kidney function was the result of him losing weight. Patient S became confused and decided to stopped his TCM treatment. In late July, Patient S returned to me because his eGFR declined steadily to 13 (Stage 5) after he stopped his TCM treatment. His nephrologist told him to be prepared for dialysis in the near future. Then he started to ponder maybe the TCM treatment was helping. 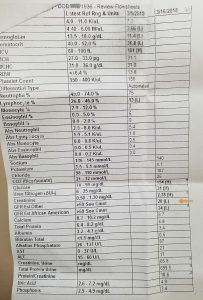 He decided to try TCM treatment again and test his kidney functions more regularly. 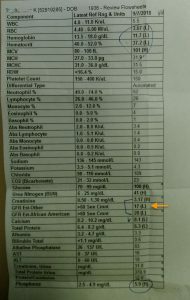 After a week of seeing us again, Patient S did another kidney function test, his eGFR recovered to 16. Patient S felt encouraged so he continued his treatment with us for another week and tested his kidney function again. Although the kidney functions declined to 14 this time, he felt his overall health improved. He now are convinced that TCM treatment worked. He continued his treatment for few more week. 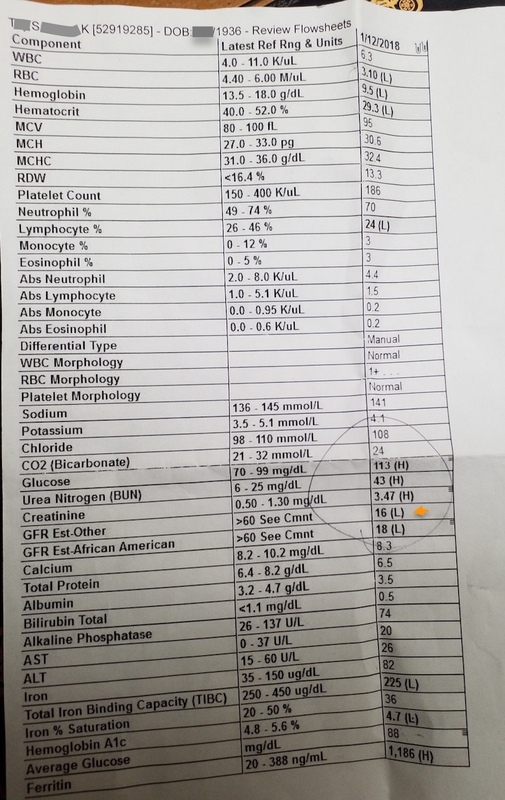 In September, his latest test result shows his eGFR has improved to 17. It clearly demonstrates that TCM treatment has successfully improved Patient S’ kidney function. On top of that, Patient S felt improvement in all area of his health. He has more energy, he has less back pain and he felt less cold than usual. He has decided to continue his treatment indefinitely. I used to work in the Nephrology department at Shanghai’s Shuguang Hospital. It is one of the busiest department in one of the busiest hospital. The departments sees 300~500 people a day. The program is such a big success because TCM treatment complemented conventional medicine and offers superior result over people who utilize conventional medicine alone. Many researches have been done in China and Taiwan documenting the benefit of TCM treatment. However, unfortunately due to prejudice, these studies are not recognized by the mainstream medicine in the US. Instead, mainstream medicine focused their attention on Chinese medicine induced nephropathy which is very rare and can easily be avoided if practitioners are properly trained. Kidney disease affects millions of Americans and cost billions of dollar. Recognition of TCM treatment would surely help those in need.